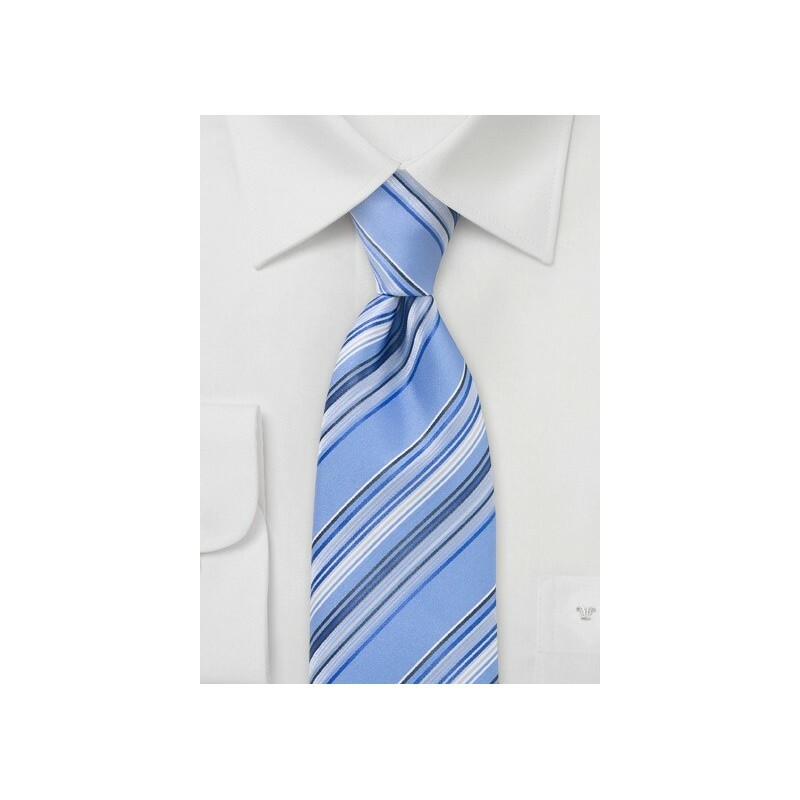 A trendy sky blue necktie with narrow striped pattern. Four colors are combined in one narrow striped pattern. It is a tie that is perfect for the sunny days in spring and summer! This tie will pair well with almost any suit. 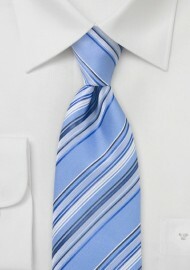 Because this tie has a light and fresh blue color it pairs best with suits made from a thinner fabric. Great suit colors are gray, charcoal, tan, and navy. Made from care free microfiber fabric.